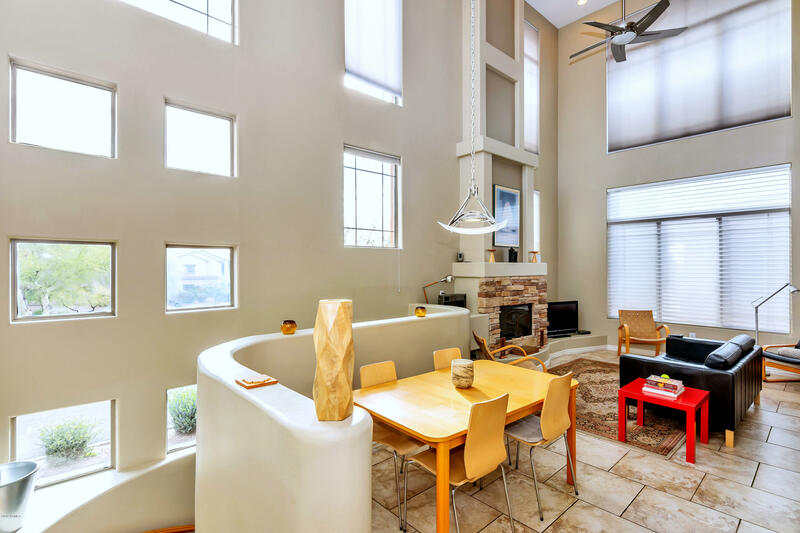 All ASTRAGAL homes currently listed for sale in Scottsdale as of 04/25/2019 are shown below. You can change the search criteria at any time by pressing the 'Change Search' button below. "2 Bedroom - 2 Bath - 1,421 Sq. Ft. - 25 Ft. Ceilings - Loft area - Dramatic Windows - Lots of Natural Light - City living feel w/ 3 levels - Gas fireplace - Walk-In Closets - Separate shower & tub - Granite Counters - 1 Attached Garage Parking + 1 Covered Parking Spot - Gated Community w/ Community Amenities." "Astragal is a boutique community comprised of 2 & 3 level Loft design condos. 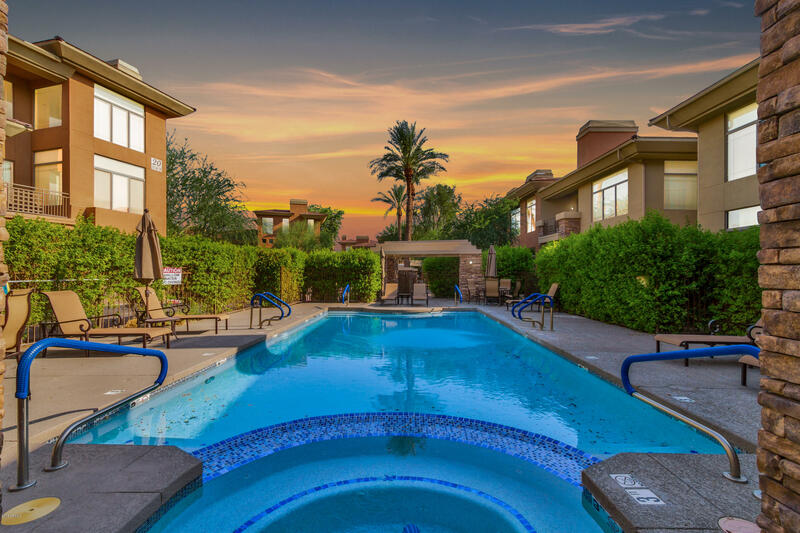 This gated community offers a resort style pool, spa, & BBQ area. Featuring soaring ceilings and dramatic windows the that bathe the living area with natural light. Offering an open concept living space, this light & bright unit boasts ceilings over 20 feet high as well as McDowell Mtn views. This beautifully upgraded 2bed/2bath plus loft also has a 1 car attached garage. The dining nook, living room w/ gas fireplace &"